In this podcast, we interview the “Double Olympic Champion” Jade Jones MBE. Firstly we talk about where she came from and if she could have ever believed she would one day become double Olympic champion. We then chat about her first Olympic gold, the one from the youth Olympics. Then we chat about where her Taekwondo journey began and a look into how she got to where she has today. The World Championship Gold is something that’s slipped away to date but we speak about how the next worlds will be in Manchester and how the home crowd will spur her to finally get that Gold. If we follow Jade on Instagram her story shows celebrity dating, spa days and lots of Taekwondo – we chat about what a typical day in the life of Jade Jones is actually like. Then we discuss her TV appearances and what’s next on her list to tick off…… I’m a celeb get me out of here??? With so many athletes now coming out with their own equipment and clothing range, we talk about if this is something she’s already looking at doing. The pressures of competitions are up next, how Jade deals with it, and what motivates her to keep winning. looking to the future we ask what life will look like after she hangs up her head guard. Paul Green leaving GB is a massive deal right now, we speak to Jade about who will now coach her and her thoughts on Paul leaving GB. Next, we discuss how Taekwondo is right now, and if she has any suggestions to improve it. Advice from Jade on how to be the next Jade Jones is our next discussion – how someone currently competing can get to her level. The next few questions are from you guys, our listeners. The first one was if Jade had any advice for parents on how to motivate and keep the interest of a young athlete. Next, we ask the question at what age did she start Taekwondo and what made her choose Taekwondo. Does Jade need to be strict with what she eats? What is her favourite food? Who or what inspires her to keep going, what is her motivation to stay at Olympic standard? How has what she has achieved changed her life, and what dreams has it helped her follow? And the final listener question, what strength and conditioning do you do leading up to the Olympics? As we ask all our listeners the same final question, we ask Jade what she thinks makes Taekwondo different to other martial arts and what she feels it takes to be a black belt. If you want to get in touch or learn more about Jade, see the links below. Find us on Facebook and instagram or go to our contact page form more options. 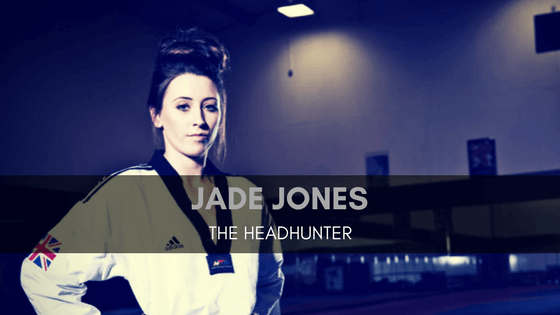 We would love to hear what you thought about the interview with Jade Jones, tell us here or on iTunes, Instagram or Facebook.